It sounds like something straight out of a comic book, but after losing his sternum and part of his rib cage to cancer, a 54-year-old Spanish man received the world’s first 3D-printed chest prosthetic made from lightweight, but incredibly strong, titanium. 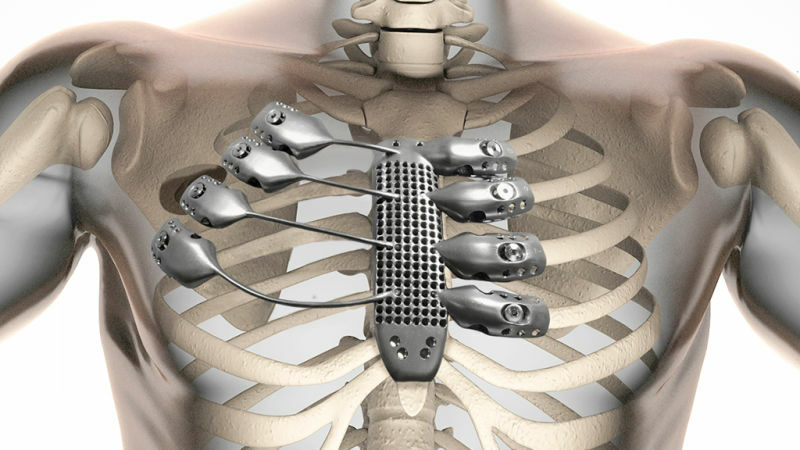 Titanium implants aren’t new, but replacing large sections of the rib cage is tricky. Titanium prosthetics are usually built from various plate components, and over time they can come loose creating future complications. 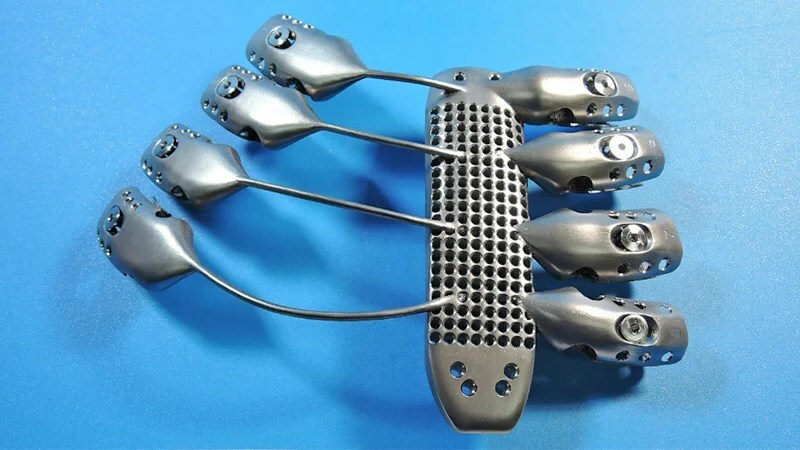 Surgeons at the Salamanca University Hospital in Spain decided that a custom-designed titanium prosthetic would better replicate the portions of the patient’s chest that had been removed, and in the long term would be a safer option. Using high-resolution 3D CT scans of the patient’s chest, the surgeons determined what areas needed to be replaced, and then turned to a Melbourne, Australia-based company called Anatomics to design and build the replacement sternum and rib cage. As impressive as home 3D printers like the MakerBot are, printing with titanium requires a higher level of expertise and equipment. Anatomics actually used a $1.3 million electron beam Arcam 3D printer to produce the prosthetic, the first of its kind in the world, which was then flown to Spain and surgically implanted in the patient. Just 12 days after their final surgery, the patient, who is now probably the closest thing the world has to Marvel’s Wolverine, was discharged and is recovering well. And 3D printing takes another important step forward to becoming one of the most important technologies of the 21st century.